It's free, and always will be. 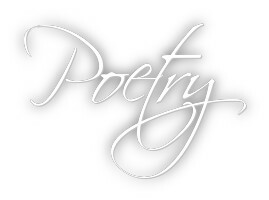 New poetry by poetry sponsors. *WELCOME TO MY WORLD* ~ Read my poems full of fact, fiction and fantasy. FOUR KINDS OF LOVE - WHAT ARE THEY? 'CIRCLE`BLU`LITE`WELCOMES YOU TO CBL'S 31ST `SPOTLITES YOU`EDITION!